Fill out the information below so ​you don't miss the ​special ​offers I only offer to those on my waiting list. Yes! Please let me know when you relaunch the course! CEO, Health Stand Nutrition Consulting Inc. since 2000. The Pursuit of ﻿Healthiness﻿ course is closed for registration. Fill out the information below so you don't miss the special offers I only offer to those on my waiting list. 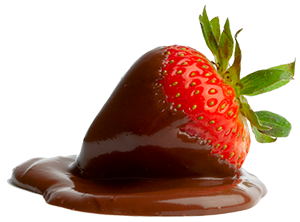 Your online course creator & facilitator Andrea Holwegner RD, "The Chocoholic Nutritionist™", CEO, Health Stand Nutrition Consulting Inc. since 2000. The Pursuit of Healthiness™ is a comprehensive self-study training program ​designed to help you eat well and still have a life. This is not just a course, it is a nutrition club with lifetime access to mentorship, support, and connections with other people in similar situations. ​My clear step-by-step approach and no-nonsense nutrition solutions are designed to help you achieve your best life faster, easier and guilt-free. This nutrition ​program shows you the success path of how to fast-track your way to better health, elevated energy and achievement of your personal best weight. I’ve been listening to your goals, interests and challenges. I have an idea of where you have been stuck or what caused you to fall off the wagon. I’ve been studying solutions to help you overcome these roadblocks and move forward with confidence. With this insight, I have created a one-of-a-kind ​signature training program and nutrition club that will serve my mission to help as many people as possible achieve health without guilt or complexity. "Andrea helps people to effect change at a deep level that, most importantly, is sustainable for a lifetime of health." What Makes This The Best Nutrition ​Program? One size does not fit all. I show you how to build a sustainable plan for YOU (based on current research as well as your health, weight status and food personality). This is a course for both meat-atarians and vegetarians, for those that enjoy cooking and those that don’t. I give you choices, assessments and one-of-a-kind supporting resources. No nonsense here. As a Registered Dietitian for close to 20 years, my approach is grounded in science and sustainability. I translate the complex science of medicine, nutrition and weight management into easy to understand, relevant strategies you can use immediately. I take the die out of diet. As a foodie first, and dietitian second, you can always expect that taste and enjoyment in eating will always be at the forefront of any recommendation. I will show you how to eat more veggies, but still have a life (that includes chocolate, chips and other yummy things). No food rules, only food love. You won’t find any weird diet plans or lists of forbidden foods restricted for no clear medical reason. I don’t just give you advice on what to eat, I also show you the system of how to do it. I help take the guesswork out of what to do and in what order to boost your meal planning success, energy, health and weight management efforts. 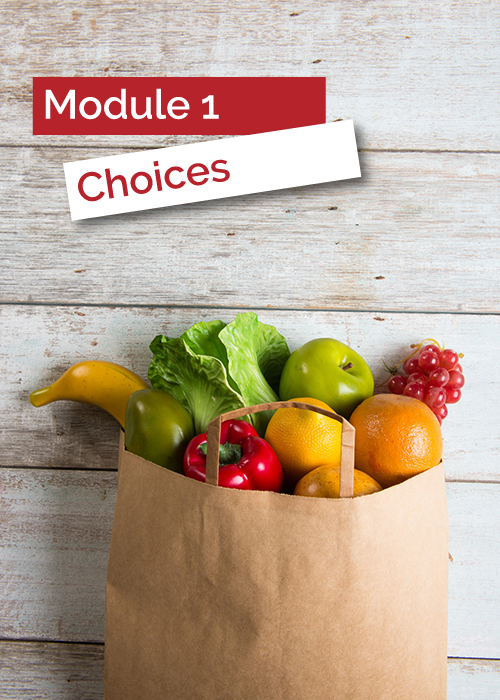 Whether you’re a beginner or know lots about nutrition but have struggled to put it into action, the simple techniques, cheat sheets and loads of examples found in this course will make planning seamless. I don’t just give you advice on what to eat, I also show you the system of how to do it. I help take the guesswork out of what to do and in what order to boost your energy, health and weight management efforts. "​I have come to think of the program as a one stop shopping excursion for everything one needs to know about creating a joyous relationship with food and our bodies. 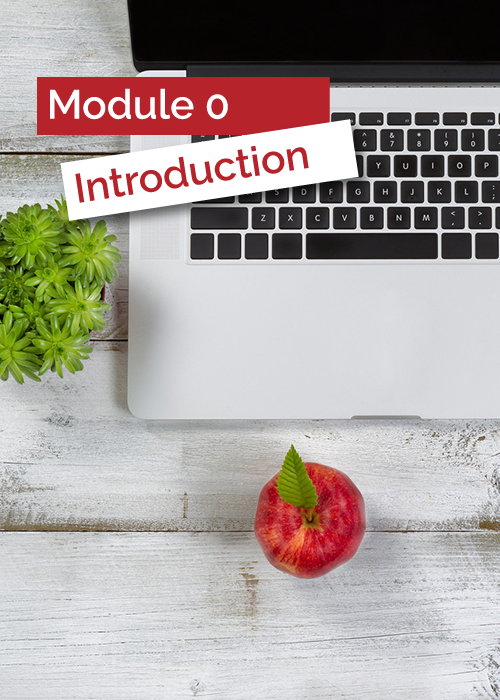 In a single word, the course has gifted me with freedom"
Access to the Introductory Module is available the moment you complete your registration. You can stay focused and don't get overwhelmed. You have time to implement what you learn. ​You can ​connect and grow with a like-minded community at about the same pace. We can focus our LIVE Q&A sessions and questions in the member area so that the vast majority of people understand the context of the questions being asked. ​Once all the Modules have been released you will have lifetime access to the course materials to access whenever you like. I've got you covered. I have a support team that can help with administrative or tech questions. ​Many of ​my students have also appreciated the support they have received from our course group ​itself. ​We have an ​​amazing community of ​​like-minded members that also provide encouragement and suggestions based on what is working for them. The course materials are yours to archive, review and keep for life. ​Get free access to our course website, future course revisions and ​updated resources. ​Free ongoing access to o​ur private Facebook Group to ask ​questions, attend Facebook live videos and receive community support from other like minded participants. ​Retake the course again and again for free! Mastery takes time and repetition. You will learn and implement something new each time you do the course. This is why for as long as this program is running you can retake the program at no additional cost. 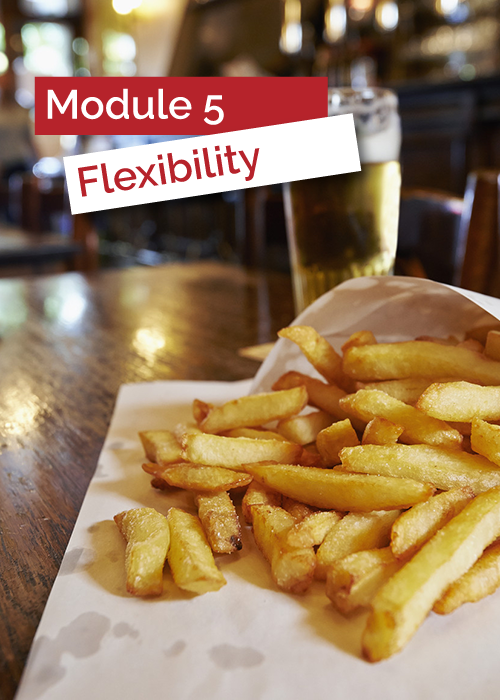 Access to the Introductory Module is availble the moment you complete your registration. Our community grows confidently together at about the same pace. I've got you covered. I have a support team that can help with administrative questions. Get free access to future course revisions and all new updated resources. In the future each time the course launches, you can once again attend live support sessions to ask questions. Be surrounded by a motivating community with other like-minded course participants. "Andrea has a longstanding, solid reputation ﻿﻿ because of her creative, compassionate, “let’s do it” approach to life and work. ﻿﻿﻿Her information is credible, evidence-based and better yet, presented in a way that sticks." Dr. Colleen Cannon, Clinical Psychologist & Co-founder Craving Change Inc. 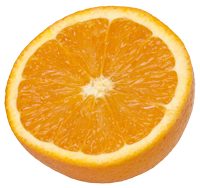 The Pursuit of HealthinessTM consists of an introductory module and 5 core modules. 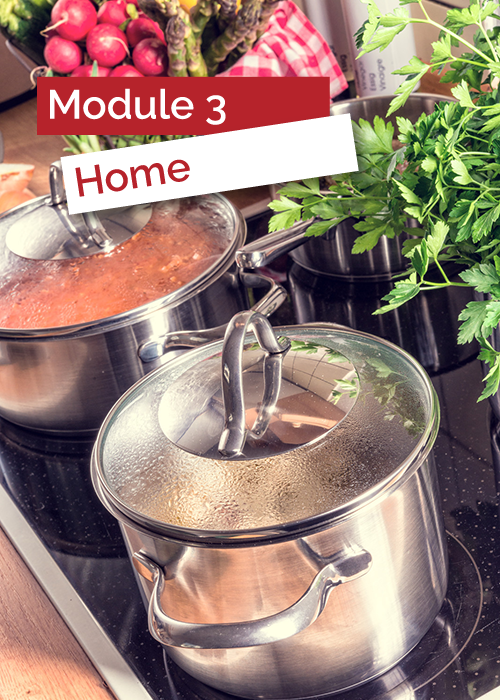 Each module is designed to help you with a step-by-step nutrition success path to achieve better health, energy and your personal best weight… EASIER, FASTER & BETTER. During the course, I also provide you access to me for mentorship and support through our private course ​discussion area, private Facebook Group and ​Q&A ​videos. ​Review the modules below to discover exactly what you’ll learn in this course. Lesson 4 Best Food Plan: What is the Best Diet to Follow? ​"Had I not joined this course I would have struggled with being rudderless with no focus, low energy, and mindless eating. I would have eaten my way through the grief of losing three family members in less than a year and likely joined many of my family members who have struggled with weight issues." As a Registered Dietitian for close to 20 years, I have worked with thousands of individuals, parents and employees that want to look and feel better each day. I’ve been listening to your goals, interests and challenges related to energy, health and how to achieve your personal best weight. I have an idea of where you have been stuck or what caused you to fall off the wagon. I’ve been studying solutions to help you overcome these roadblocks and move forward with confidence. With this insight, I have created a one-of-a-kind online nutrition course and club with mentorship and a supportive community that will serve my mission to help as many people as possible achieve health without guilt or complexity. Rather than create a short course that would only scratch the surface and leave you to figure out how to implement the knowledge all on your own, I decided instead to create a comprehensive A-Z training program. This course and mentorship with lifetime access hands you the step-by-step knowledge of when to do what, and how to do it, so you can build a nutrition plan you can enjoy for life. I’ve been listening to your goals, interests and challenges related to energy, health and how to achieve your personal best weight. I have an idea of where you have been stuck or what caused you to fall off the wagon. I’ve been studying solutions to help you overcome these roadblocks and move forward with confidence. With this insight, I have created a one-of-a-kind online nutrition course that will serve my mission to help as many people as possible achieve health without guilt or complexity. Rather than create a short course that would only scratch the surface and leave you to figure out how to implement the knowledge all on your own, I decided instead to create a comprehensive A-Z training program. 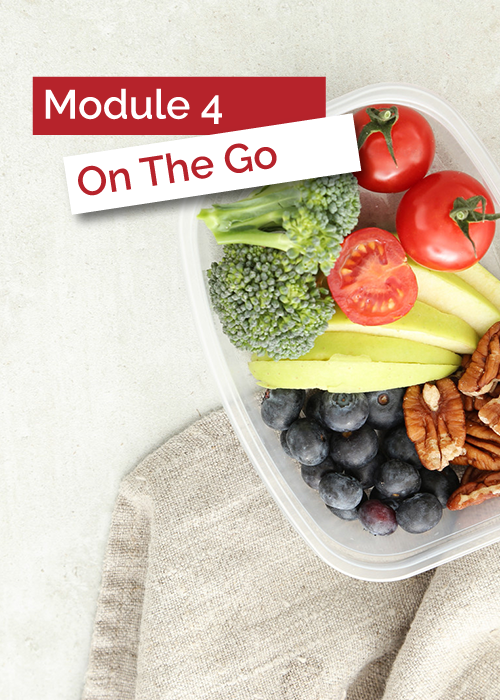 This course and mentorship hands you the step-by-step knowledge of when to do what, and how to do it, so you can build a nutrition plan you can enjoy for life. "I was blown away by the completeness of the course. It provides incredible richness and the missing keys." As a prediabetic, I knew about healthy eating through the diabetic eating plan. However, I often made last-minute decisions and ate poorly. Andrea’s unique course has given me the missing keys to move forward with sustainable, healthy eating. Insightful personality profiles identified my eating instincts (such as plan ahead or go day-by-day; and eat three main meals or “graze”). And, I now have pragmatic tools for thinking out meal options ahead of time and ensuring that I have ingredients on hand, as well as tricks for healthy eating “on the run”. There is also lots of useful course material, and Andrea encouraged us to focus first on our top one or two priorities for manageable change. At 56 years of age, I finally feel that I have the awareness and tools to substantially improve my eating and overall health. "Andrea's approach, non-judgemental support and course materials are a no-nonsense way of thinking and learning to have a much better relationship with food." As someone who has had struggles with food most of my life I've found the Pursuit of Healthiness course has really helped me settle the "noise" in my head around food. I've learned to change the way I think about certain foods, have added those "forbidden foods" back to my diet and am learning how to not stress about slip-ups and enjoy eating again. I forgot what butter tasted like. Andrea's approach, non-judgemental support and course materials are a no-nonsense way of thinking and learning to have a much better relationship with food. You work at your own pace to complete the modules and there is no pressure to be where everyone else is. The material is very helpful to work through your own personal struggles and is well laid out and easy to follow. Having a lifetime access is great as you can go back and refer to the information anytime. For me, I'm on a journey not a race. I've gained so much more confidence in my food choices. I’m enjoying food more, cooking more and accepting life challenges without using food as a crutch. If I hadn't made the decision to take this course I would still be trapped in my poor choices and allowing all that "negative noise" to control my eating habits. I'm moving in a more positive direction. Thanks so much Andrea for your support. "You could tell the amount of time and effort Andrea put into this comprehensive course based on the content and the delivery." As someone interested in health and fitness, I jumped at the chance to take Andrea's course since I had seen her a number of years ago as a client and have been receiving her newsletters for years. She always has practical advice and given nutrition can be confusing and overwhelming, I was able to revisit how much I thought I knew and what areas I can improve on. You could tell the amount of time and effort Andrea put into this comprehensive course based on the content and the delivery. Each module had a number of lessons and each had both video sessions and supporting materials to follow along. I really liked that she released the modules one at a time as this gave me time to go through them, but at the same time, kept me on track as I am a bit of procrastinator. I also like that we have unlimited access to the materials to go back and review them as needed. One of the things I appreciated was that Andrea didn't tell us there was only one way to do something. Instead the course provided overall strategies and then Andrea answered questions in our members area and live chat sessions to help provide specific advice. 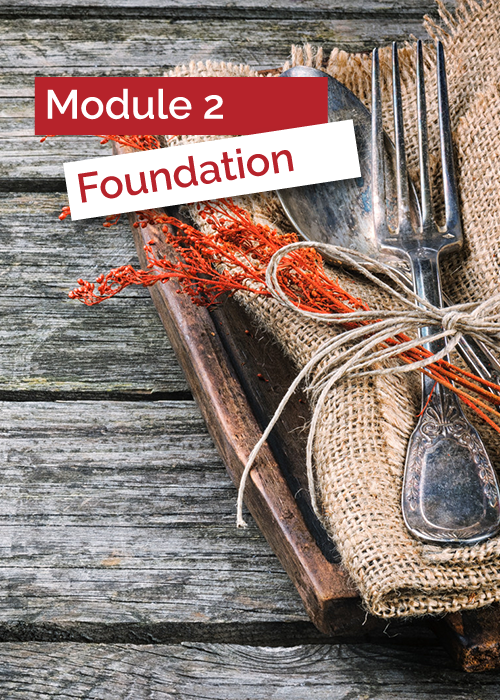 After taking this course I now appreciate the benefit of experimenting, since this allows you to pay attention to how you feel and not be so mindless when you are eating. I now don't underestimate the value of planning ahead (even if it is only one day at a time which is what works for me). I also have a better understanding of portion sizes and that when it comes to weight management, more pounds are lost in the kitchen than in the gym. Lastly, it is great to be part of a community that doesn't eliminate soulful foods chosen for taste and enjoyment (after all life is too short to note enjoy every day - and that includes what you eat). You didn't have to spend dozens of hours and hundreds of dollars trying to figure out how to eat well and meal plan with a hectic lifestyle. You didn't have to rely on weird eating regimes, restrictive diets and foods no one in your family likes. Meal planning wasn't overly complicated and you could still enjoy your favourite foods at the pub with your buddies or enjoy a dessert with your kids guilt-free. You were not at war with your body and could enjoy eating instead of seeing food as the enemy. You could stop falling off the wagon and figure out a clear nutrition success path for better health, energy and achievement of your personal best weight. You can learn how to set up, execute, and maximize you and your family's nutrition from a single step-by-step program. you can access a clear roadmap instead of jumping between multiple overpriced nutrition programs or diets that give you only a single piece of the puzzle and leave you with NO IDEA on how to complete the picture. You can have a life and enjoy foods like nachos, dessert or the best of family holiday food. There is no need to treat these as separate, forbidden foods, but instead FULLY integrate them as non-negotiable fun foods to live your best life. You could stop "thinking" about healthy eating... stop "talking" about doing meal planning... and definitely stop trying to remember why you were not eating well to begin with. But instead, you can confidently and consistently execute eating well while still having a life. This is the opportunity I'm putting in front of you today! The people who look and feel their best everyday and understand the balance between how to achieve health (while still having a life). They will tell you they were not meal prep pros or gourmet chefs, some of them will even tell you they don’t even like cooking or the taste of vegetables. Those that are successful understand systems and when to focus on what and how to do it, no matter how busy their schedule is. And as they’ve gotten more confident at understanding the science of nutrition and the meal planning systems for home and on-the-go living, their health and energy levels have improved. Their personal and family stress around meal planning has diminished. 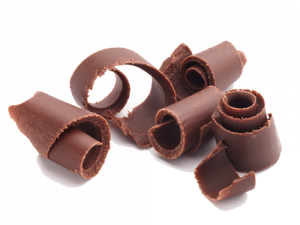 They can prioritize geeky healthy foods needed for health, but also trust management of soulful foods (like chips and chocolate) chosen for taste and social enjoyment. They’ve also embraced a better relationship with food and their body and as a result of this are moving towards their personal best weight. This course is designed to help you move towards better health, energy and your personal best weight. You want to take the die out of diet and have more fun. You need a no-nonsense, credible coach grounded in science and sustainability. You are tired of the extreme, weird restrictive eating plans that are boring and doomed for failure. You are struggling with your health, energy or weight and a bad relationship with food. You need practical eating and lifestyle tips that actually work for an insanely busy schedule. You are seeking simplicity and clarity on what, when, where, why and how much to eat. You want meal planning ideas and relevant solutions that don't expect you to be perfect. not committed to change and active participation. that doesn't support evidence-based science and high quality nutrition research. with a long list of forbidden "bad" foods restricted for no clear medical reason. seeking a short-term rule based diet plan for weight loss alone. not open to ditching a dieting philosophy or restrictive lifestyle. someone that wants to rely heavily on shakes, supplements and other diet foods not sold at a regular grocery store. with certain medical issues (please contact us to inquire more about your personal medical situation to see if this course is a fit for you). Join me on the step-by-step success path to move you towards better health, energy and your personal best weight. 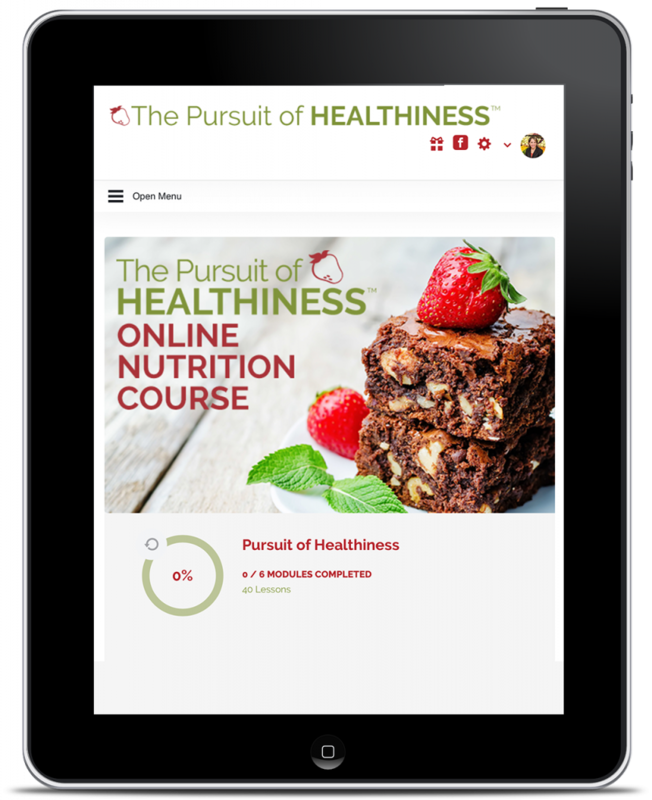 The Pursuit of ﻿Healthiness﻿ ​course will open for registration SOON! Fill out the information below so I can notify you when registration opens again ​soon! The Pursuit of ﻿Healthiness﻿ course will open for registration Oct 23-Nov 1!